Featuring amazing white sand beaches lined with coconut trees, a crystal clear ocean that’s warm to the touch, the 76 islands and atolls within the Tuamotu Archipelago are spread over an area of more than 700,000 sq. mi. (2 million km²). It’s a land where the story of Robinson Crusoe could have actually taken place. Living up to their reputation, the Tuamotu are a must-see for experienced divers. The atoll lagoons are a protected paradise where underwater life is spectacular. This area is also the cradle of the legendary Tahitian cultured pearl, grown with love, patience and respect, lying in a blue elegant oyster. Pearl farms lie almost weightlessly on the Tuamotu’s lagoons where the pearls get their unmatched colors and shades. Some Tuamotu atolls are just endless white, sandy beaches with a few acres of coconut plantations. 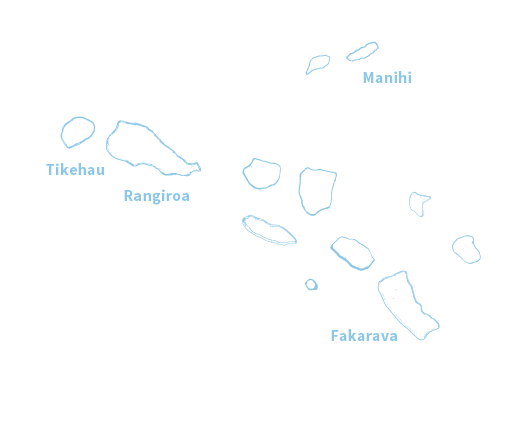 Others, such as Rangiroa, the second largest atoll in the world, are much larger. 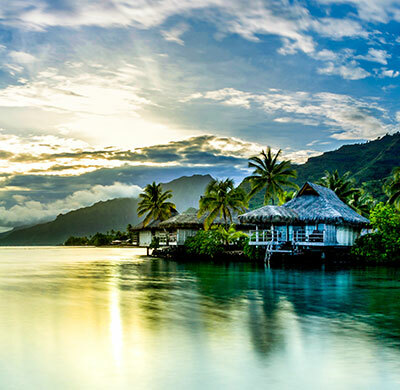 These mini paradise islands, dotted idyllically amidst the aqua blue ocean, are remote yet easy to reach via boat/plane without having to go via Papeete. You will find family pensions / guest houses around most of the islands and the largest atolls host international resorts, all welcoming visitors from around the world. Located 994 miles (1 600 km) South of Tahiti, following on from the Tuamotu atolls, emerge the most secluded and remote of The Islands of Tahiti: the Gambier Islands. This is a natural and cultural gem, which visitors sometimes discover by chance but from which they all come back totally seduced. Idyllic and pristine, the Takapoto atoll is a dream paradise. Discovered by French explorers Jacques Lemaire and Willem Schouten, Takapoto is a closed island without a real pass allowing the lagoon and ocean to meet. This is the reason why the atoll has remained so untouched. It is also the home of the famous black pearl (from the oyster Pinctada margaritifera), the main resource on the island. Visitors will enjoy seeing the numerous fish parks made out of coral stones. The coral ring of Anaa is still easily recognized by Polynesian sailors thanks to the bright emerald color of its lagoon. The atoll doesn’t have a pass and shelters spectacular feo, huge 10-foot high coral blocks emerging from the lagoon. Located at the northwest end of the Tuamotu Archipelago, Mataiva is a surprising small atoll. It is the only lagoon of French Polynesia to feature 70 interior pools approximately 26 feet deep with nine channels. This is where the name “the island of nine eyes” originates. A real-life tropical aquarium, snorkelers and other visitors will marvel at the beautiful fish-filled lagoon. Discovered by Pedro Fernández de Quirós in 1606, Hao, still called “Bow Island” or “Harp Island” given its shape, features one of the largest lagoons in French Polynesia. Open to the ocean via Kaki pass, the immense lagoon is an underwater mass hiding unknown treasures for divers to discover. Starfish, sea urchins and crustaceans are only a few of the inhabitants of the coral reef, which is also visited by mahi-mahi and silver jackfish. Makemo is a work of art carved by the nature of erosion over a period of thousands of years. The sand is an amazing blend of pink and red due to micro-organisms developing in these warm shallow waters. A few steps from the shore lies a marvelous natural pool welcoming swimmers into clear, turquoise waters. This is truly an idyllic place where dreams and legends meet, its messages still transmitted by the ancient guardians of the island’s history. Located between Rangiroa and Manihi, Ahe atoll is a place for visitors seeking authenticity. 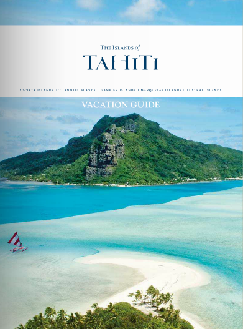 Dotted with picturesque pearl farms, this is one of the most dynamic atolls in The Islands of Tahiti. Visit a pearl farm and learn all the secrets of this amazing activity while discovering the passion and respect the islanders have for this heavenly, but fragile environment. Well known to pearl merchants in the 19th Century, this atoll was first mentioned in the writings of British captain Robert FitzRoy in 1835. Between 1838 and 1842, the American expedition led by Charles Wilkes named the island “Vincennes” after his ship. 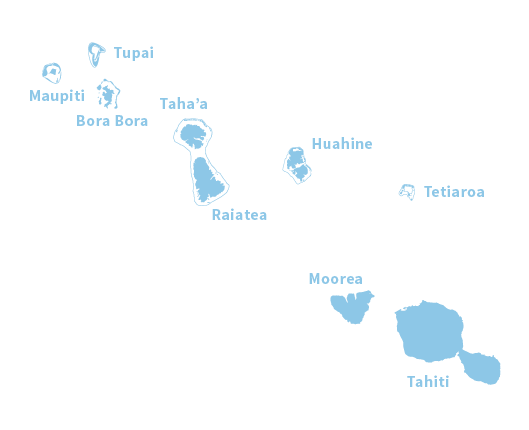 Aratika is located 301 miles northeast of Tahiti and 31 miles (21 km) from Fakarava which has administrative authority on the island. Just like Fakarava, the atoll is part of a UNESCO biosphere thanks to its exceptional natural and cultural heritage. Arutua is a ring-shaped island also known as Ngaru-atua, which means “breaking wave coming from afar”, it is located 18 nautical miles east of Rangiroa. 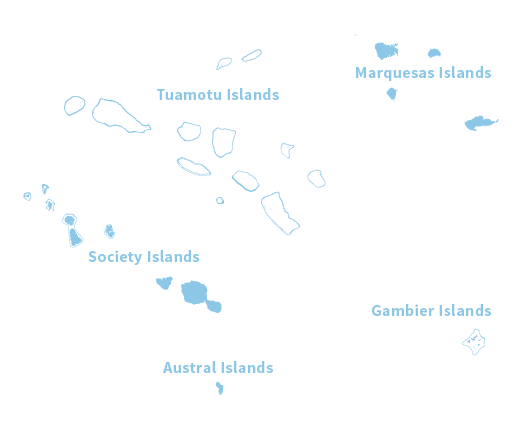 The atoll comprises some fifty motu encircling a huge lagoon with one islet at the center. The village, Rautini, is where most of the population of Arutua live. Many fish farms dot the lagoon. 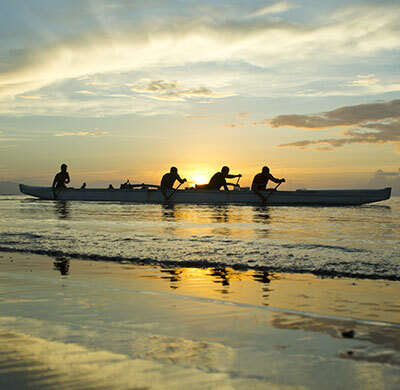 Fishing, pearl farming and copra farming account for the income of most Arutua people.